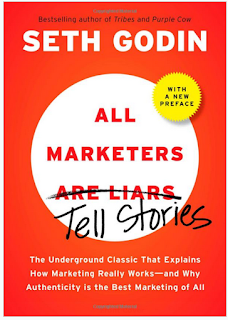 Seth Godin recently retitled his book "All Marketers are Liars" to "All Marketers Tell Stories" -- but I think he was closer the first time around. He should have stuck with his gut on this one. 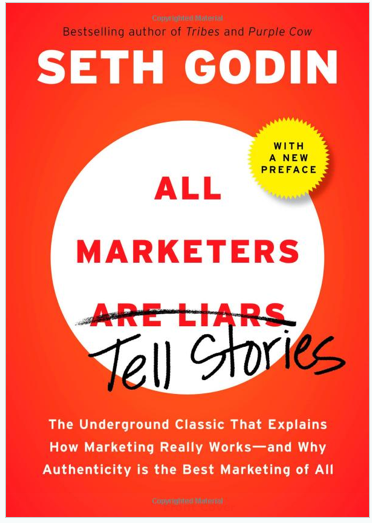 The truth is, "all marketers fib." They don't necessarily tell full blown lies. And they're not just telling stories (because they are in fact trying to sell you something). But they are attempting to persuade in the most effective and engaging way. And most of the time, that includes a little white lie. So what is a "white lie" you ask? A "white lie" can be a manipulation of data, ghost written testimonial, skewed timelines, leading questions in a survey, or a simple confusion of correlation and causation. It happens all the time, in every industry, on every channel, in all facets of the function. And its not just the big name brands with big budgets, or the small-time companies trying to get a leg up on the competition.